I am so excited to be participating in the Sixth Bead Soup Blog Party with my talented partner, Rossana De Gaspari. 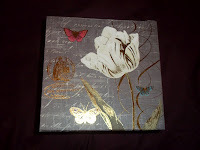 Imagine my thrill when I arrived home this past Monday (my apologies for not posting earlier) to a box in the post from Rossana. I opened the outer box (at left) to find this amazing treasure box inside. This box is so beautiful and alone gave me inspiration to begin creating. Something sorely missing from my life, lately. My muse has returned to me from her vacation -- she must have been in Florida (where Rossana lives). 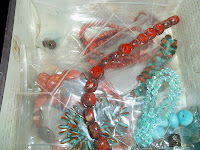 I opened the lovely box and gasped when I saw all of the lovely beads inside. 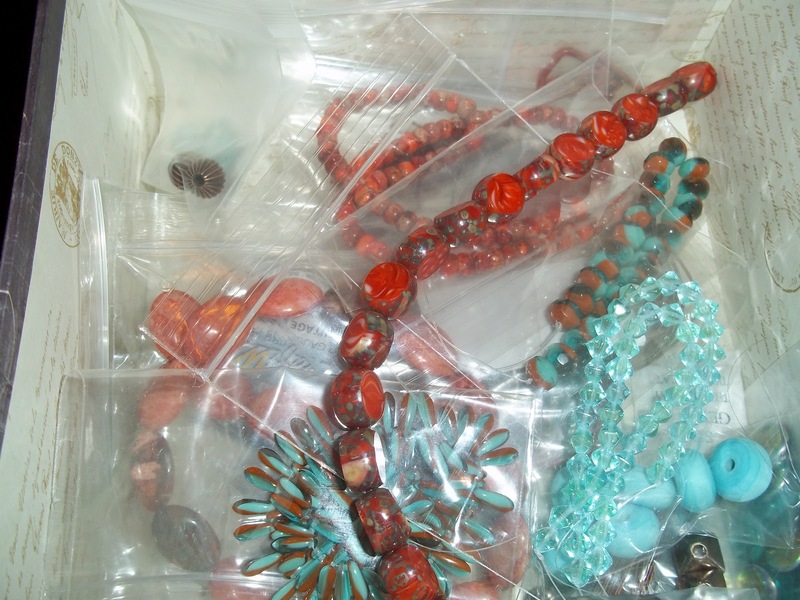 The box was filled to the very brim (see picture at right) with lovely orange stones (I'm not sure what they are besides absolutely gorgeous), aqua crystals, wonderful Czech glass strands, fantastic copper and antiqued brass findings and beads, lampworked glass rondelles in the most lovely shade of blue and much, much more. So many riches. There are enough beads and supplies in this collection to make exactly that, an entire collection. 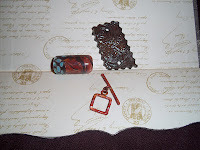 Also inside were a lovely lampworked glass focal and ceramic connector (shown at left). Rossana also included not one but two amazing copper toggles. So many recipes are swirling around in my head. I'm so glad that we are in the last group for our reveal dates. I plan on indeed building an entire collection around these lovely beads. Thank you so much, Rossana! And, thank you to Lori for putting us together.